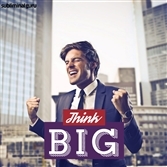 Would you like to have more ideas than you know what to do with? Want a quick and effective way to generate as many as you can handle? Great ideas come from looking at things in a different light, changing your perspective, and being bold. You have to be willing to think outside the box, challenge the status quo, and not be upset if nothing comes of it. 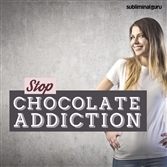 With the Sizzle with Great Ideas subliminal session, you'll be overflowing with inspiration in no time! 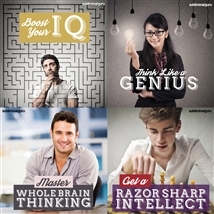 As you listen, thousands of powerful positive affirmations will reprogram your mind, helping you focus on becoming as creative as is humanly possible. You'll start to see things with an open mind, finding options and possibilities that others overlook. Your curiosity and enthusiasm will ensure a steady flow of ideas, giving you the power to transform your thoughts into real, attainable goals. 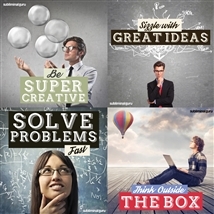 Become a human idea generator! 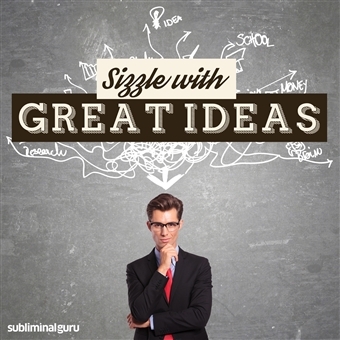 Download the Sizzle with Great Ideas subliminal audio now to be flooded with incredible ideas for weeks and years to come. Ideas come naturally to me. My mind is an idea warehouse. My ideas are always relevant. I am full of great ideas. Every day it's easier to find more ideas. Ideas come to me effortlessly. My ideas impress other people. I am constantly inspired with new ideas. I have more ideas than I know what to do with. I enjoy letting inspiration come to me. My ideas are inspiring and unique.